I actually like turtles. They're slower than I am, and they don't have the potential to eat me or bite me with some sort of deadly venom. Even though they don't have vocal chords, they can make sounds. Some turtles can live up to 150 years. Some turtles can dive 3000 feet below the water's surface. Airplanes in America collide with an average of 4 turtles a year on runways. Cut a circle the same size as the bottle top out of the card stock. 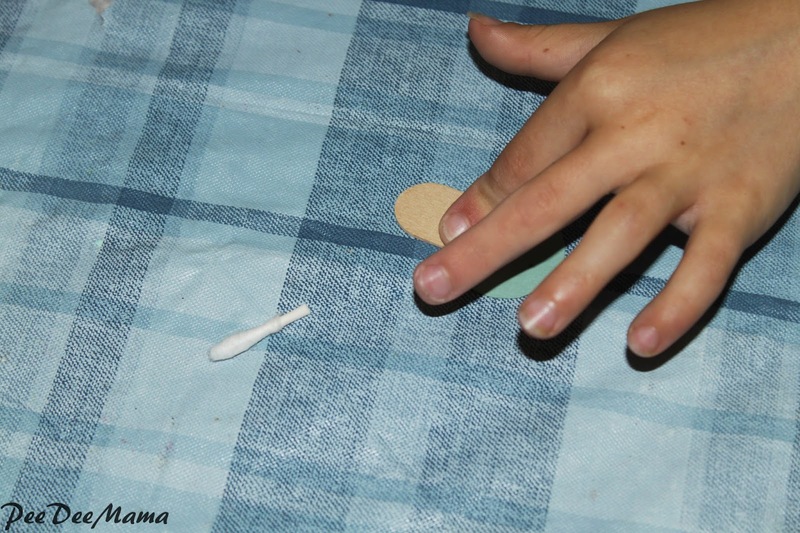 Cut Q-tips and popsicle stick in half. 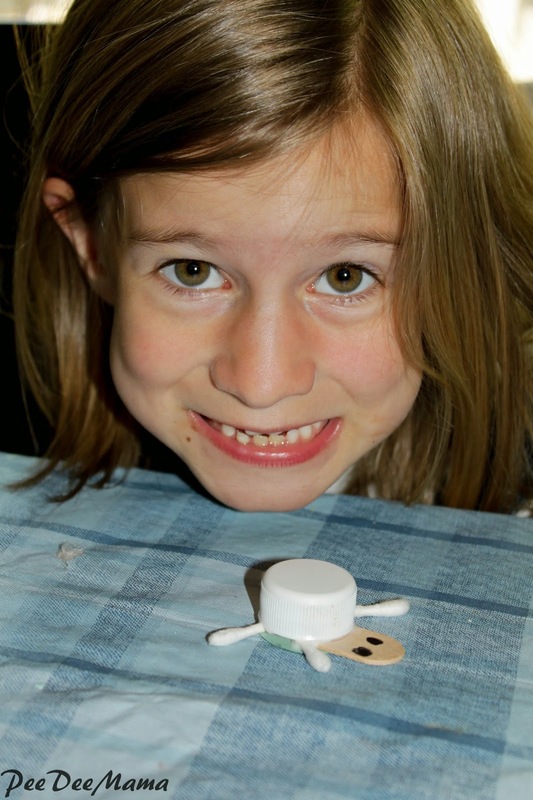 Use glue to attach Q-tips for feet and popsicle stick for a head to card stock circle. 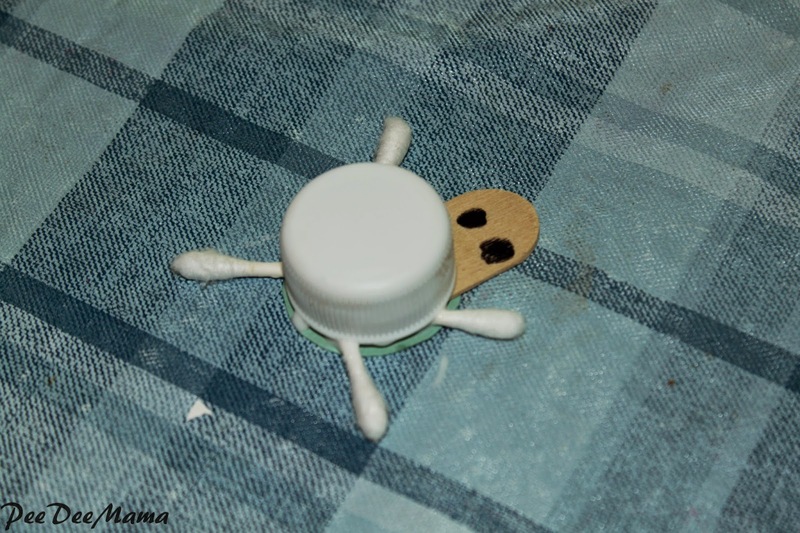 Use glue to attach circle to bottle top.